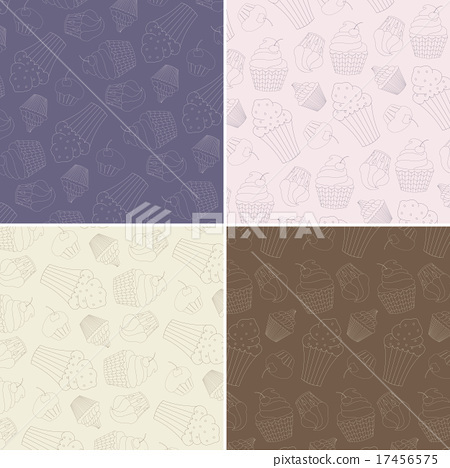 Set of four seamless vector patterns with cute hand drawn cupcakes. Restaurant or cafe branding elements. Perfect for packing, banners, greeting cards, invitations, menu, flyers, web design and more.